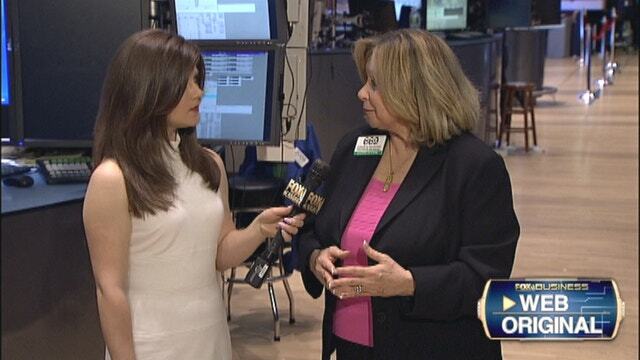 Mogavero Lee & Co. CEO Doreen Mogavero on the challenges working at the NYSE as a woman. For Doreen Mogavero, president and CEO of Mogavero Lee & Co., working on the floor of the New York Stock Exchange is the product of her life’s ambition. But paving the path of success in one of the finance world’s elite institutions wasn&apos;t a walk in the park. From the “boys club” mentality to stomach-churning volatility and vast technological shifts, Mogavero has worked through it all in her more than 30 years on the floor. Mogavero began her career on the Street at just 19 years old, working as a summer intern for her father’s firm at the American Stock Exchange. The experience left her craving more. “It’s was a very, very, exciting environment,” she said. “It’s still an exciting environment today. Every day is different. Every day there’s new news. Every day we’re watching a different stock and a different company and a different sector. And it was very invigorating for me to come to work every morning.” Wall Street has come a long way in more than three decades, and so has Mogavero. But what piqued her curiosity and drew her to the floor in the beginning is what’s kept her there all these years. “I enjoyed the physical-ness of it all,” she said. “In the early days we used to walk somewhere around 15 miles a day.” When Mogavero first began work at the NYSE, she had to literally push her way through other traders on the floor in an effort to have her orders processed. She said although it’s one of the things that made her love her job, it’s definitely not for everyone. “You had to be a type-A personality. A lot of women who came through the exchange over the years didn’t like it. And they did leave because it was physical and very different in that regard, for women,” she said. “But for me, I liked it. I was a type-A personality, I was more aggressive, I guess, than other women would have been at my age and I found it very invigorating, truthfully.” Through her more than 30 years of experience, Mogavero has seen the markets through some of their extreme highs and lows including the 2013 rally that brought the Dow and S&P 500 to record highs. It’s those historic days that push the limits and test traders’ love of the markets. Black Monday, October 19, 1987 -- the day the Dow crashed 22.6% -- was no exception. Because orders were still processed manually during that time, Mogavero said it made for an extremely busy – and incredibly stressful – day. “In those times, we sort of went into military mode,” she said. “Really, all you do is focus on the task at hand, getting the job done, getting the right price for the customer, and making sure the customer gets their reports and that everything and everybody is whole.” Now that more technology has made its way to the NYSE, there’s not as much pushing and shoving to process orders. But that doesn’t mean the competitive spirit has gone missing.